In 2015, Champions of the Flyway helped tackle the illegal killing of birds in Cyprus. The magnitude of illegal hunting on the small Mediterranean Island of Cyprus is staggering. Hundreds of thousands of birds from all groups and families are killed there every migration season. In 2015 we raised money and awareness through Champions of the Flyway to enable BirdLife Cyprus to take the action needed to give the people of Cyprus the opportunity to turn the tide on criminality, stop illegal hunting and change the situation there once and for all. Now just by-catch, a magnificent Eurasian Bee-eater, robbed forever of its aerial mastery, hangs helpless and awaiting despatch in a Cypriot hunter’s mist net. At roughly 250 km long by 100 km wide, Cyprus is the third largest island in the Mediterranean and is used as a crucial stopover site by migrating birds during their sea crossings. The volume of migration there is actually quite incredible with millions of songbirds, waterfowl and birds of prey passing through twice a year. With such a volume of birds streaming through Cyprus, it is unsurprising that the hunting and trapping of migrant birds there is rooted deep in the historical culture of the islands. In fact, evidence of seasonal hunting in Cyprus stems back to the middle ages. In the past, songbirds – mainly Blackcaps and similar-sized warblers – were trapped for consumption by the rather poor islanders who saw the twice-yearly influx of birds as a valuable source of protein while they scraped their meagre existence, living off the land. The impact this had on bird populations then would have been tiny and quite sustainable. Nowadays however, bird trapping in Cyprus has little to do with tradition or history. Nor is it sustainable. It has become widespread, extensive and is driven by by profits sought by organised crime. 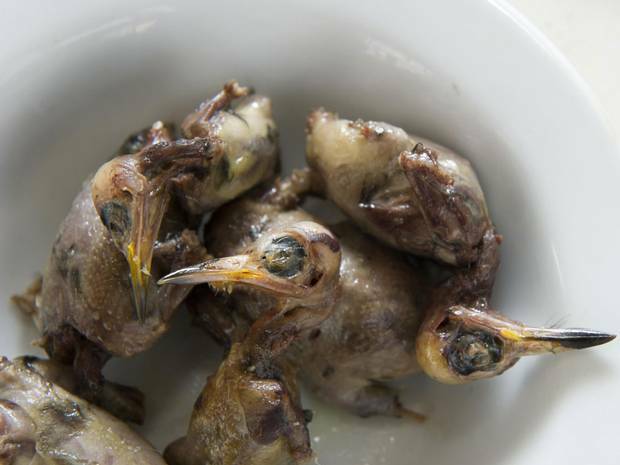 The reason is the demand for a local dish made from small passerines called Ambelopoulia which is considered a delicacy by certain members of the Cypriot community and, perhaps more worryingly, some misguided tourists. The dish is in such demand that would-be diners are prepared to pay in excess of €5 per bird with the associated illegal industry considered to be worth in excess of €15,000,000 per year. While the trapping of birds (by non selective methods such as mist nets and limesticks) and the sale of Ambelopoulia has been illegal since 1974, the law has little deterrent effect. BirdLife Cyprus advises that despite strong evidence suggesting the vast majority of islanders are totally against the practice, in excess of two million birds are now illegally killed there each year. Their recent surveys show that trapping is still increasing year on year and more than 150 different species of birds have been found in mistnets and on limesticks including no less than 78 listed as threatened by the EU. 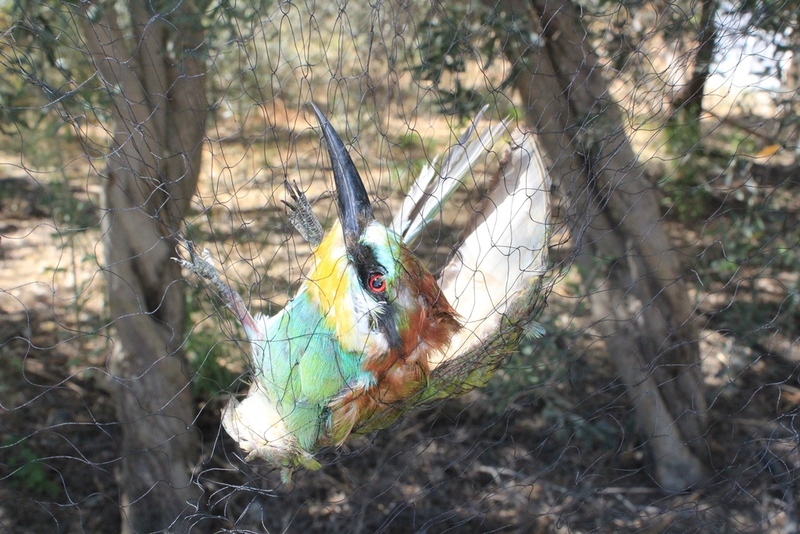 During the autumn of 2014, BirdLife Cyprus ran a systematic study that monitored illegal bird trapping activity from the beginning of September to mid-October. This covering the peak of the autumn bird migration – the main trapping period. The situation was as bad as ever and many trapping locations full of mist nets and limesticks were found again. Very high trapping levels were still observed in the Dhekelia Sovereign Base Area and in the Republic of Cyprus. At the same time as they surveyed, BirdLife Cyprus called on the authorities in the British Sovereign Base Areas and in the Republic of Cyprus to take serious and urgent enforcement action. As the alarming rise in illegal trapping and hunting activities in Cyprus continues, BirdLife Cyprus become ever-further stretched. Pleas to the authorities usually result in little additional enforcement action. A complicated political situation also makes dealing with the problem very difficult. BirdLife Cyprus have mounted a public awareness campaign to challenge the practice of selling ambelopoulia illegally. Part of the ongoing public awareness campaign BirdLife Cyprus is running, engages directly with school children. The educational programme includes school visits and the distribution of leaflets regarding illegal killing. In addition, innovative outreach materials are being used including a board game which teaches children about the birds and their plight and this engaging cartoon which tells the story of Ulysses the Blackcap. Through the support generated by the Champions of the Flyway event in 2015 we secured vital funding to aid BirdLife Cyprus in their fight against illegal killing of birds and to help them turn the tide on the needless slaughter. 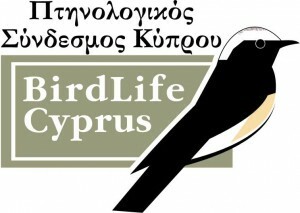 Please log on to the Birdlife Cyprus website to learn more about their work.